You can post photos from your Yandex.Disk to social networks (VK and Facebook). On the top panel, click the → Export to social network button. When viewing the image, click the → Export to social network button. 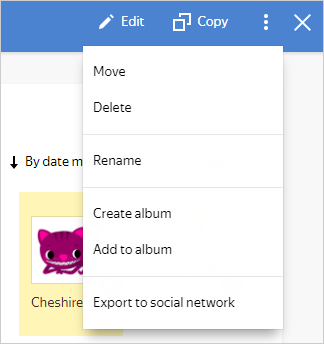 If you have just uploaded the image to Disk, click the Export to social network button. On the top panel, click the button.